…I’m going to lose myself in here. Happy Friday. xoxo! Wow, Oh, I wish to see a site like that one day. Look at all those fall colors. I live in North Texas and never see that. Yes, I’m so excited to actually see fall colors this year. Autumn is pretty subtle in Los Angeles so being in New York for the season is a real treat! Is this a current photo??? 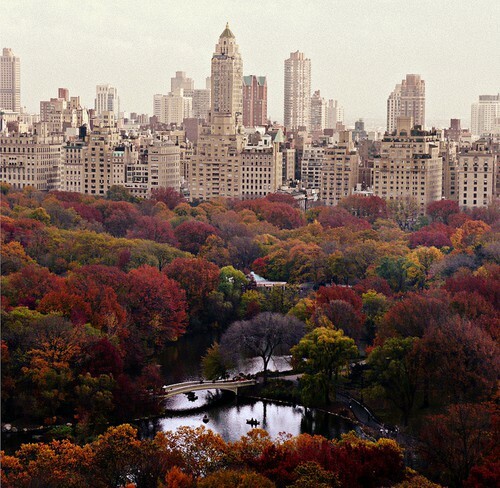 Fall color in Central Park – awesome! Unfortunately it is not a current photo but I’ve been assured that this very picture will be a reality soon. We’ll be in Central Park over the weekend and take pictures for you. xoxo!